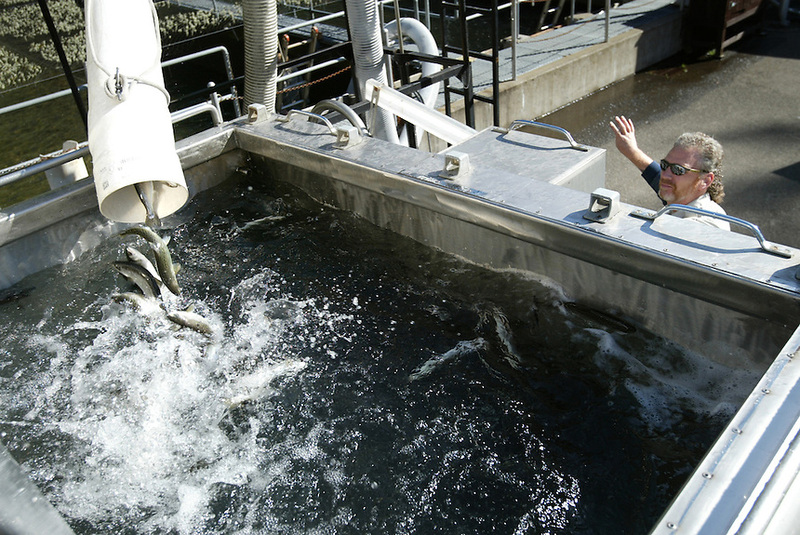 Oregon Department of Fish and Wildlife hatchery technician Lonnie Freeman signals for 40 more pounds of one-year-old chinook salmon to be loaded on to his truck for a journey to Diamond Lake in an experiment to stock the lake with salmon to kill off Tui Chub, a non-native fish, that has overpopulated the lake and led to poisonous algae blooms. If stocking the lake does not work. ODFW will be forced to poison the fish in the lake.